Teaching Practice - You will teach for a total of six hours, working with classes at two levels of ability. You start off teaching for short periods of, for example, thirty minutes and gradually build up to longer lessons of sixty minutes. Observation of experienced teachers - This is a requirement of the course and a very useful part of the training process. Fortunately, at Cambridge School, we have an impressive team of very experienced teachers who are happy to let you watch their classes. Note that some days trainees need to stay a bit later in order to observe experienced teachers. The course takes place from Monday to Friday but depending on certain factors such as the number of trainees in each tutor group, whether or not a public holiday falls during the course etc, we are sometimes able to have Friday afternoons free. Teaching Practice - Assessment is based on your overall performance at the end of the six hours. To be awarded the Certificate, you must pass both components. There are three grades - Pass, Pass 'B' and Pass 'A'. Usually, about 75% of trainees get a 'pass', while about 22% can expect to get a 'pass B' and about 3% a 'pass A'. 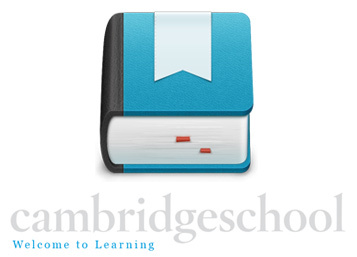 Trainees who pass the course will be awarded the Cambridge University (English Language Assessment) 'Certificate in English Language Teaching to Adults (CELTA)'. They will also receive a report on their progress on the course, which they can show to prospective employers. This report details your strengths as a trainee and also mentions one or two areas that you need to focus on in the future. You should try to read the methodology book before the course starts. The grammar book is not really a book to be read from beginning to end. It is essentially a reference book. However, you might find it interesting to leaf through it before the course starts to get some idea of the kind of information it contains. Below is a list of other books which would be useful to read but they are not essential reading. They will be available to read here at the centre.